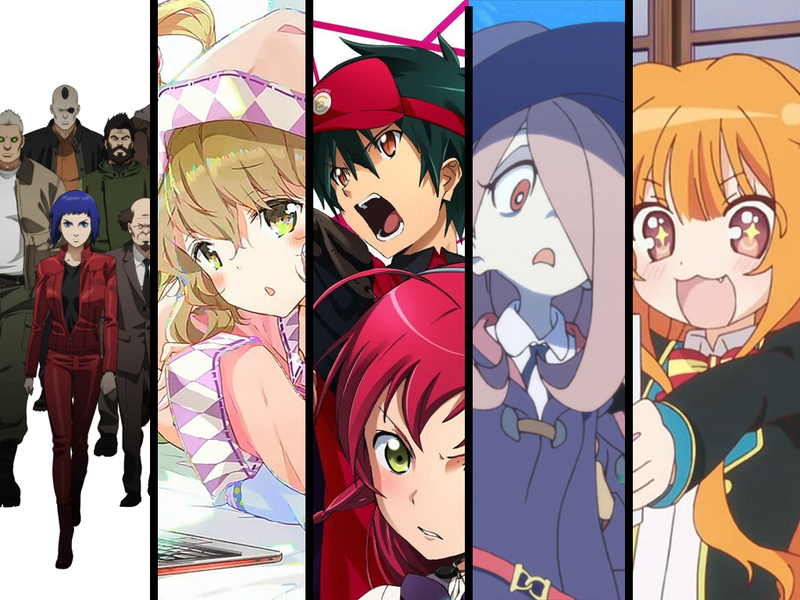 So the year is coming to an end and with it the last anime season of this year will come to an end. As with every year we all have our favourite’s, the ones we wait for every week, the ones we cry about on facebook, and the ones we consider our secret guilty pleasures. To that end you will find my top 5 of this year down below. Now in order to make on the list the only requirement was that it be released this year so let’s get to it. ATTACK ON TITAN BORED ME!! there i said it, and there’s nothing you can say that will change my mind on this matter. I watched the first episode and aside from the short 1 second scene that they took straight out the second episode of Evangelion i saw no reason to watch it. It was obvious the girl was going to be the real hero/badass and that the supposed main character was going to need some sort of plot device in order to stay as the main character and true to my theory i found out through a friend that it all transpired as i predicted. So there, that’s why it’s not on my list. I warned you it was severely biased. 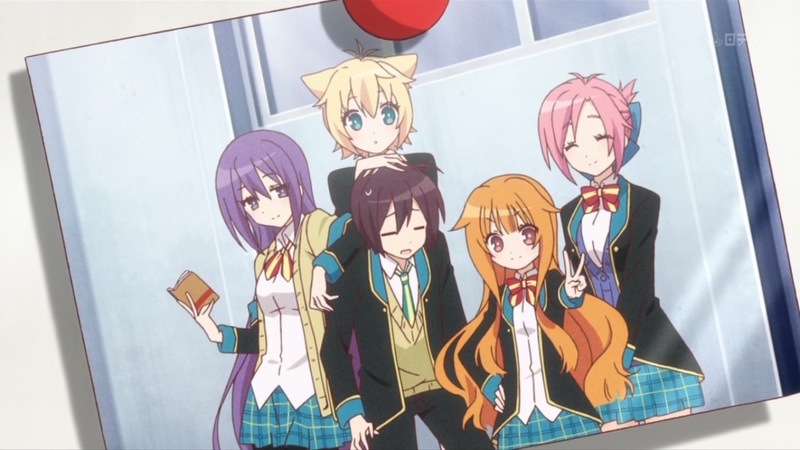 Every season there are many slice of life/school life animes trying to be the next big thing like Lucky Star/Azumanga Daioh did in their time and many try to keep you interested with some silly comedy or even raw fan service but most just fall by the sidelines . GJ-bu was able to keep my interest with its characters alone and the interesting relationship they had with each other. Although many of the characters fall into many of the standard anime tropes they each had their own little thing that made them interesting. While the series itself is really nothing special it doesn’t really have to be in order to keep me watching week after week, if I’m having fun watching each episode then that’s all I need. I’ve been following GITS since I first saw the trailer for the original movie on my evangelion VHS tapes way back in the last century. Since then I’ve gotten both DVD and Blu-ray’s of both movies, have both Stand Alone Complex series and the OVA in their special edition aluminum cases and the three original manga’s that started it all so yes i was excited for this. But it did not make it to my top 5 just on favoritism alone. 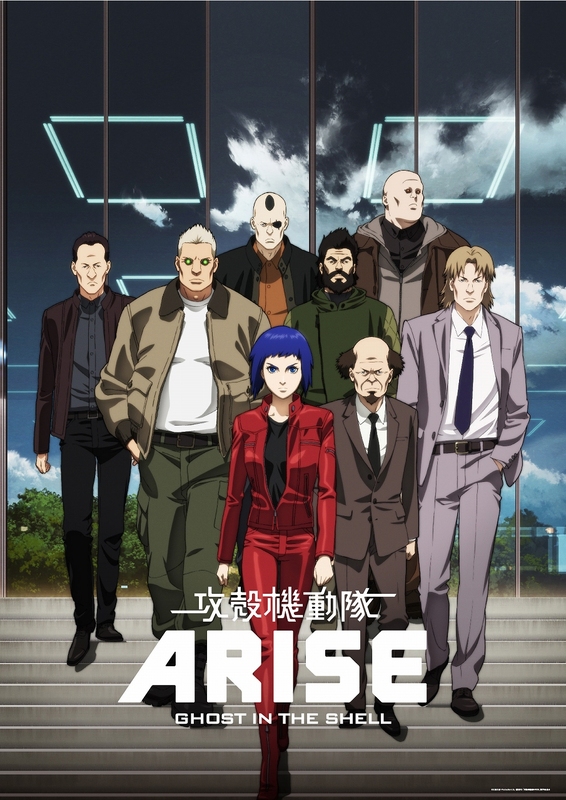 In both the movies and series we know very little about Motoko and her team and although we are teased many times during SAC about possible origins for her and Saito we are never told anything conclusive so finally seeing how it all started was a very big reason to watch it. And it did not disappoint. Any one that watches GITS knows that Motoko is unequaled in her hacking skills as well as her military tactics and physical abilities but here we are shown a very different Motoko. While she retains her reputation as a “Wizard Class” hacker she no longer feels like the god of her soroundings, has trouble with the chain of command, is a tad reckless, makes mistakes, and is having trouble adapting to life outside the military after just returning from service. Overall it is well worth watching and promises lots of character development for those that had mysterious pasts. When i first read the synopsis of the series i was intrigued at what i read. 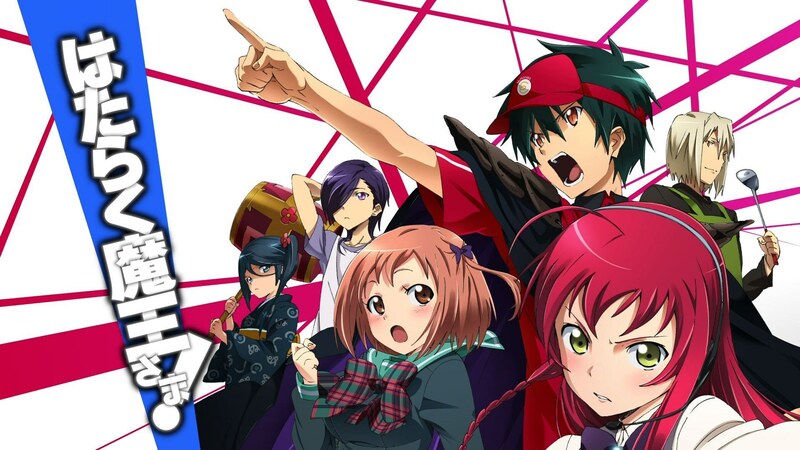 It sounded like the series i enjoy watching and the character design, particularly Tsurugi’s, was just up my alley. By the end of the first episode i was confused and intruiged with a touch of baffled as to what had just happened. It’s really hard to describe what happened without giving away major points of the show but as it moved along things started getting a serious tone and some episodes left in a serious cliff hanger and made me want to be a time lord. Luckily for me at the end everything returns to a good balance between everything and the show ends in a satisfying way. The characters themselves are all interesting in their own ways. Sasami is a complete shut-in and lazy beyond all measure. Tsurugi is the oldest of the Yagami sister’s, although physically the youngest, and is a teacher at Sasami’s school but acts more like a student. 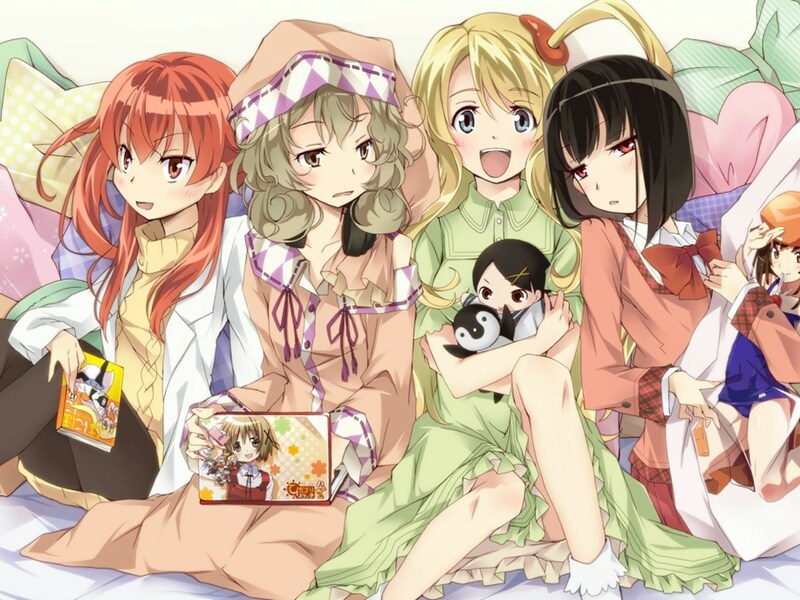 Kagami is the middle sister and a student in Sasami’s class but is very quiet and mysterious . Tama is the youngest, but physically the oldest, and wanders around just being very spastic throughout the entire series. Overall a very well made series with characters that break away from the normal stereotypes and a story that keeps you interested throughout the entire show. This was one of the best surprises to come out this year. It was a short produced for Anime Mirai 2013 by Trigger studios that really captured the essence of what anime could be. When they released their trailer last year it grabbed every one’s eye for its unique art style and it’s simple yet colorful world and animation quality. This is one of those shows you can recommend to just about any one and know they will enjoy it. The story, although simple, drives home the fact that dreams are there to push us along and not something to give up on. Trigger studios had a kickstarter campaign to fund the sequel and it fulfilled its goal within the first 5 hours of its campaign and raised a total of 625,000 dollars. Also, according to script writer Masahito Otsuka, there is a possibility that it be made into a full movie or even a complete series if the sequel does well. I honestly can’t wait to see more from these guys and wait anxiously for part 2. If you have ever wondered what a demon over lord would do if he landed in our world would do, this anime answers that question delightful. 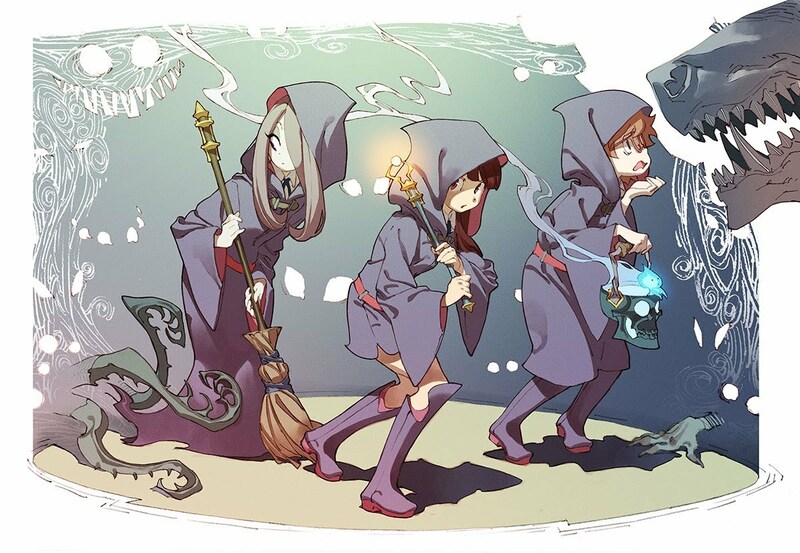 It found a balance that very few anime can pull off, Little Witch Academia being another notable example. It starts off with a very serious tone with humans and demons fighting each other, heroes pushing into the overlords castle and fighting for the survival of the human race. Then things turn interesting when the overlord finds himself in our world where magic doesn’t exist and needing to find a way to survive, so what does he do? he begins to work part-time at McRonalds that’s what. But things get even more interesting when he finds that he and his right hand man aren’t the only ones who fell into this world and that there all doing whatever they can to survive. Truly a joy to watch as things start to unfold and there pasts start to catch up to them, even in our world. And there you have it, my top 5 anime’s of this year, not what many people expect and certainly not what most people would pick but that’s life for ya.